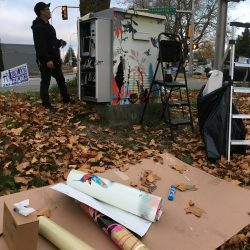 The City of Renton is working to expand art wrapped utility boxes outside of downtown to other neighborhoods in the City. 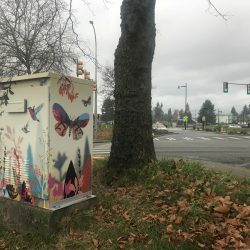 The City will wrap digital versions of artworks on traffic signal boxes located at three intersections within the Sunset area. 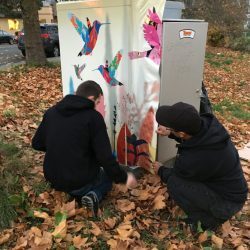 The goal of the program is to add an attractive and creative touch along our corridors by transforming a traffic signal box into a piece of art. This beautification effort will enhance the experience of all those visiting the corridor and will help to prevent vandalizing of boxes. Installation of the first three boxes in Sunset were completed in December 2018.